M-Pesa To Be Off For 2 Hours – Kenyatta University TV (KUTV). All Rights Reserved. The biggest Kenyan mobile money service provider M-Pesa is expected to be out for 2 hours. The company informed its users of a 2-hour outage of its M-Pesa services, which will occur on June 30th, as from 1pm to 3pm. Some other services – such as International Money transfer, KCB M-Pesa, M-Shwari and M-Kesho – will also encounter a similar hiccup, on the 5th of July for two hours, that is from 1pm to 3pm. Later in mid-July, M-Pesa will encounter a changeover into the new platform; which may cause a 12-hour outage. 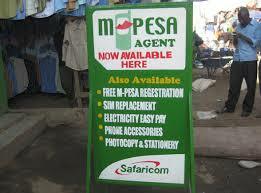 Safaricom has already expressed its intentions of expanding its M-Pesa services across Africa.